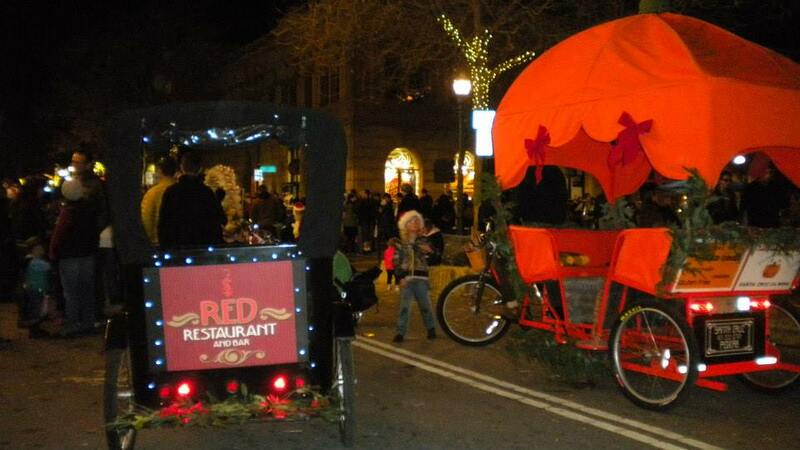 Our unique and eye-catching pedicabs are seen by thousands of people year round. 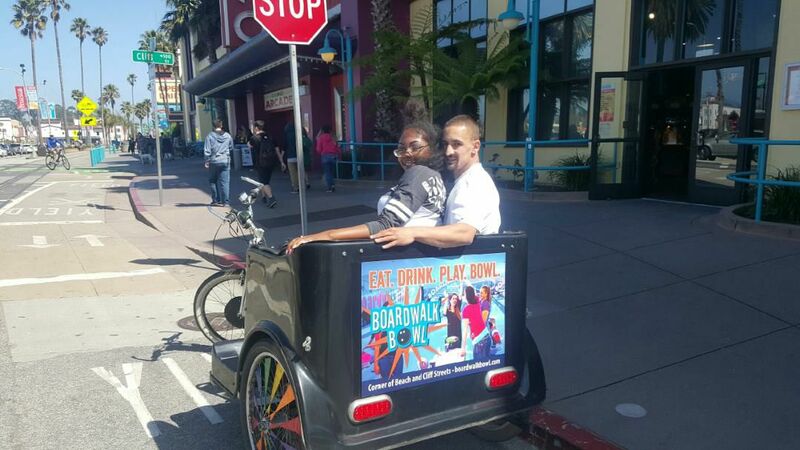 Whether it’s at the beach, the Boardwalk, West Cliff, or the wharf, or cruising the streets of downtown Santa Cruz, we can give your business the exposure it deserves! 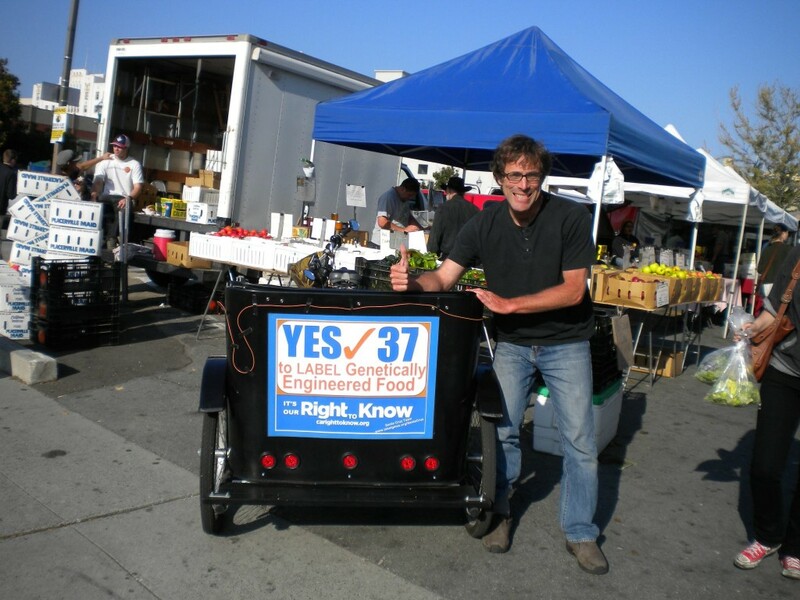 Email pedicabsantacruz@gmail.com for more information. 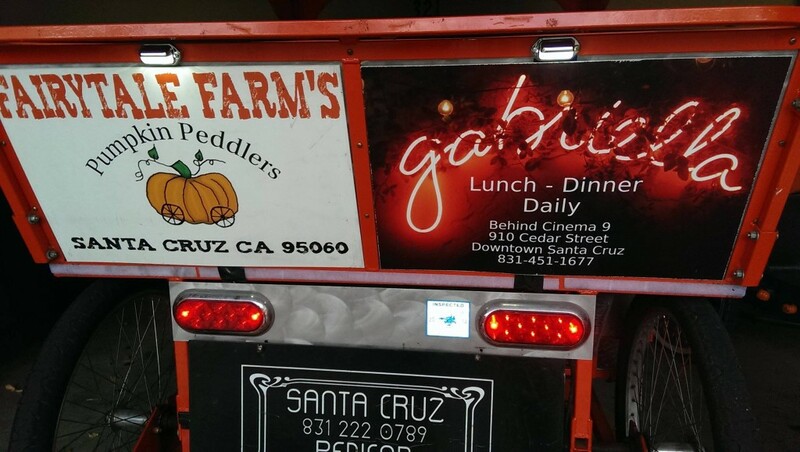 Wouldn’t you like to see your restaurant or business on the back of our pedicabs? 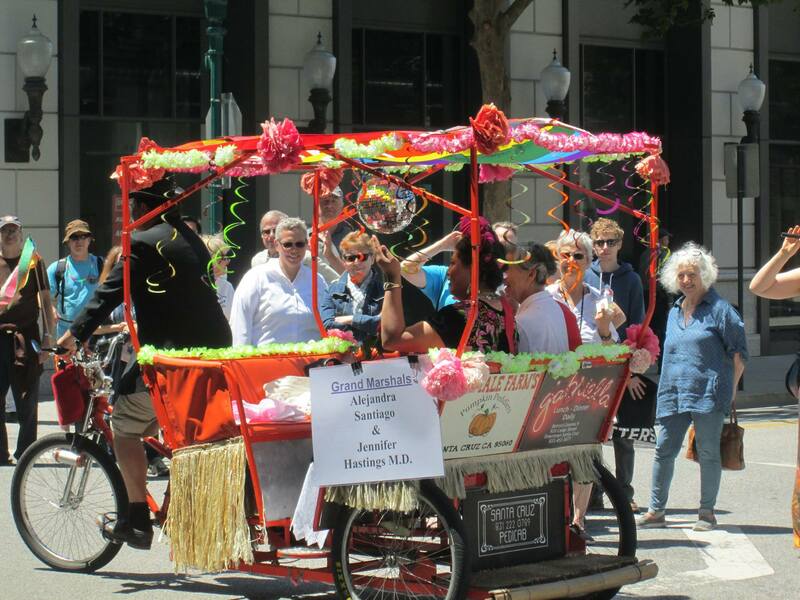 Every year, we have the honor of being the Grand Marshal’s pedicab! Even during the wintertime, the holidays provide a unique opportunity for customers to see your advertising. We also frequent the “bar scene” which goes from 10 pm to 2 am Friday and Saturday nights. The Farmer’s Market is a great place to get attention! 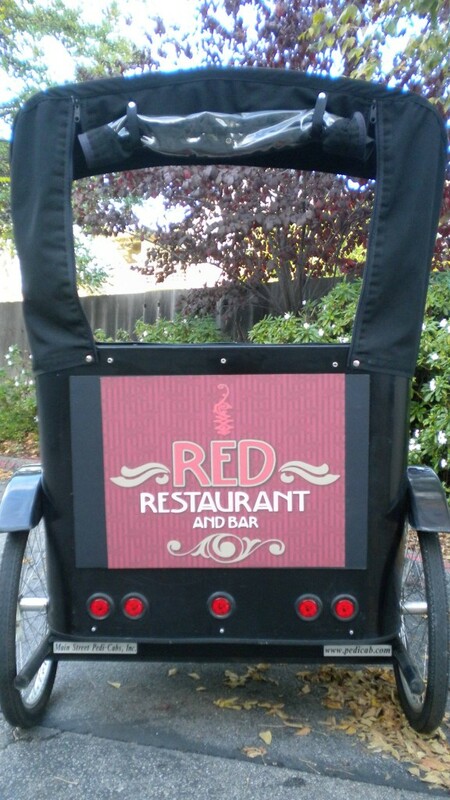 Our rates are affordable and our pedicabs are highly visible and attractive. Summer season (May through September) hours are Fridays from 6 pm to 2 am, Saturdays from 11 am to 2 am, and Sundays from 11am to 7 pm. We guarantee at least 20 hours a week and make up for rainy weather by going out on weekdays and special events. Off season advertising includes Warrior’s Games, the Holiday Parade, special Downtown events, and sunny weekends at the beach. 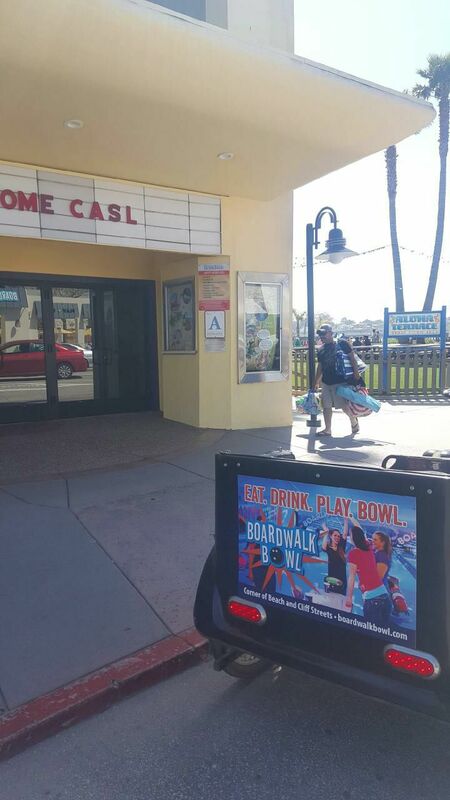 Because we cannot control weather conditions, we cannot guarantee off-season hours, but can include social media promotions, photo opportunities, or can park our cab in front of your establishment for a fun, creative way to draw interest.